Starting a Keto Diet can seem complex and confusing, but it doesn’t have to be that way. My focus here at Advantage Meals is to make starting a Keto Diet as easy and stress free as possible. 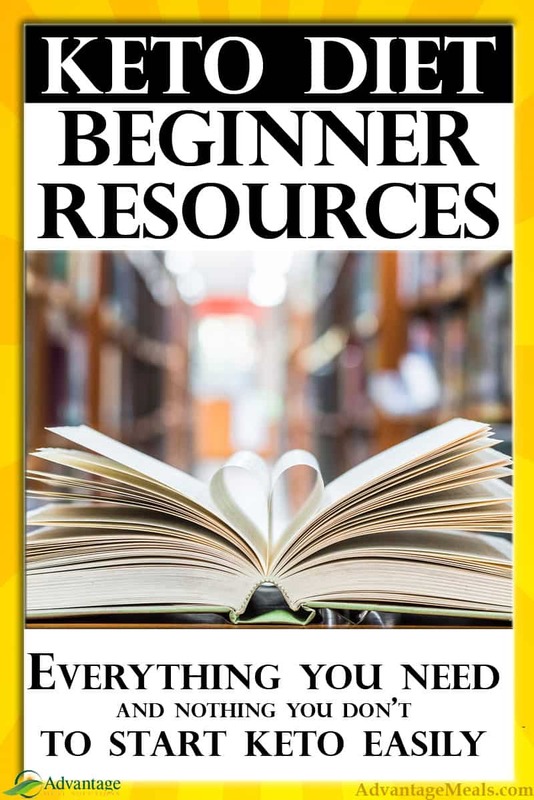 That’s why I made this page of resources for a Keto Diet Beginner. 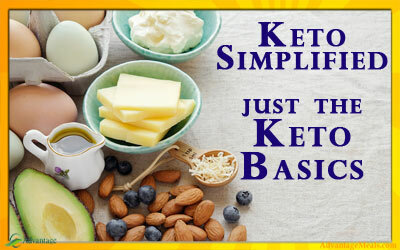 Start your Keto Diet with the basics, then upgrade your diet as you go along. When Starting a Keto Diet, you really need to stay out of the weeds. There is so much information on the internet and some of it even seems contradictory! You can easily suffer from ‘paralysis by analysis’ as you are learning what you want to know about your new keto way of eating. Let’s avoid that, and just get you the basics that you need to begin your keto diet. You can pick up more information once you’re in ketosis and enjoying the benefits of your new way of eating. Basic Keto Information. This article is just the basic information you need to know about what a Keto Diet is and Why It Works. 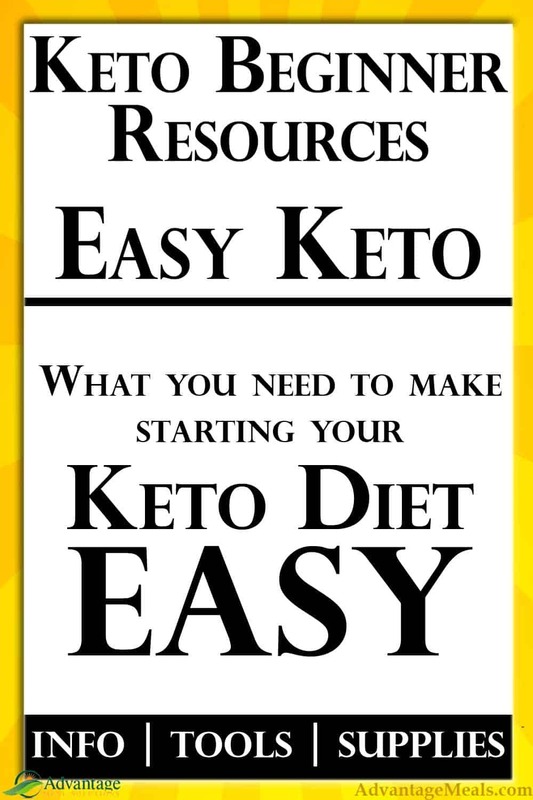 When starting a Keto Diet, you don’t have to master everything about Keto all at once. Just focus on getting into ketosis, and then you can figure out how you are going to keto for the rest of your life. 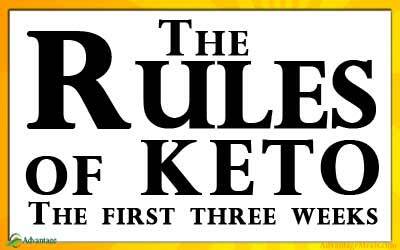 The Rules of Keto. This article has the basic Rules of Keto for the First Three Weeks. Don’t drive yourself crazy during the first three weeks when your only major goal is to get into ketosis. You don’t need lots of tools and supplements to start a keto diet. But there are a few that are very helpful. For your convenience I’ve included affiliate links to Amazon for each of these tools. Ketone Test Strips. You are going to want to know if you are in ketosis, and the easiest and most affordable way to do so is with these test strips that will tell you if there are ketones (a by-product of ketosis) in your urine. A more accurate way to measure ketones is a blood meter, but this is not a necessary tool. Mineral Supplements. A keto diet is diuretic (you pee a lot) and you’re going to be flushing out some electrolytes. In our experience, nearly everyone feels better if they supplement these minerals. We use Concentrace Trace Mineral Drops in our water or coffee. A serving is 40 drops, and we get that over the course of a day by just putting 3 to 6 drops in everything we drink. Himalayan Pink Salt. One the essential minerals that you’ll need to supplement on your new ketogenic diet is sodium. And while you are salting your food, you should consider using a salt that has more minerals than just sodium, which make the sodium more effective. For the first three weeks of your new Keto Diet, you don’t want to be put into a situation where you have to eat carbs because you don’t have good keto friendly food available. It takes about three weeks of being in ketosis for your body to learn how to burn fat efficiently, and every ‘cheat’ meal starts that clock over. No Cook Keto Meal Plan. I wrote this keto meal plan to be the easiest keto meal plan available. Everything in this meal plan is Mix, Microwave and Eat…and in 5 minutes or less. 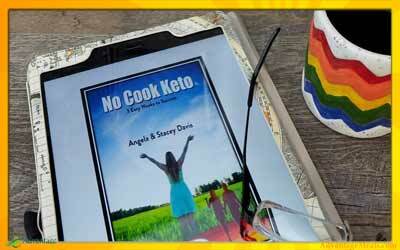 Check out No Cook Keto and give yourself a huge keto advantage. Budget Shopping List. 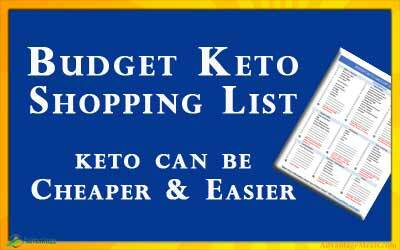 You are not going to want to only do No Cook Keto for long, and knowing what the staples are that you should be stocking in your pantry makes your keto way of eating so much easier. I also added hints and tips on this shopping list to help you avoid ‘tricky’ carbs. Keto Recipe Book. If you want to do more cooking, there are lots of great Keto Recipes on the internet (including dozens of recipes here on Advantage Meals). 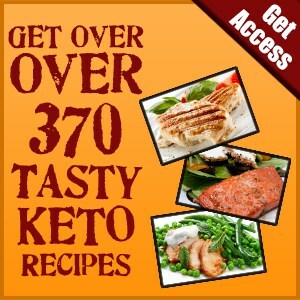 However, if you want a large collection of Keto Recipes always ready on your Tablet or Computer, check out these 370 Easy Keto Recipes. This is a digital cookbook. Printed Keto Cook Book. On the other hand, if you want a paperback keto recipe book, this is our favorite printed keto cookbook. We have the spiral bound version as it’s easier to lay flat while cooking. This book has roughly half the recipes found in digital book above. That’s all you really need to start your keto diet. 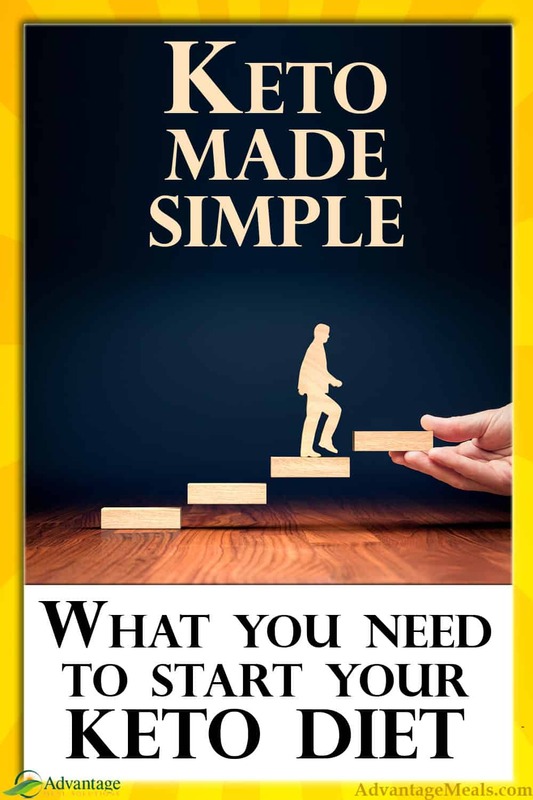 The most important thing right now is to actually get started on your new keto way of eating. Keep it simple and enjoy the journey. You’ll pick up the details as you go along. Regardless, I’m here to help. If you want to hear more from me, signup for my newsletter and be sure to follow me on Pinterest, Instagram, and Facebook. P.S. When you’re ready to start become a ketogenic expert, start with this Master Keto Article. I’ve seen many clients have amazing keto success in your situation. Menopause will have little effect on your keto, though keto will effect hormones as you lose weight and the hormones in your fat stores are released. I’m also sure that a keto diet will effect your blood sugar levels. Having hypoglycemia, you absolutely must work with your medical professional as you start a keto diet to monitor your blood sugar and related medications. I am not fond of avacados but a friend makes great guacamole that is helping me acquire a new appreciation for them. His recipe calls for Miracle Whip or Hellmann’s….are these accepted? What is your best gaucamole recipe? Also you refer to ” macros”… Please explain what they are & how to count these. We love guacamole! I eat it as a Fat Booster on top of nearly all kinds of meats. You are correct to guess that Miracle Whip is not keto friendly as it includes sugar. So either Hellman’s or Primal Mayo in the recipe you love would get you to keto friendly Guac. We also eat a lot of the 100 Calorie Guac Packs that you can find in the salad area of your grocery store. Easy Guac. I’m about to start the 3 week program, the one thing I’m concerned with is gout. I’m prone to it and I have to be careful with the bacon! Do you have any tips specifically for gout sufferers? First off, know yourself. If bacon causes you problems, then avoid it and find other sources of fat and protein. Perhaps salmon or cheese? Regardless, gout is a serious issue and you need to work closely with your medical professional as you make any major changes in your diet. Please keep us updated on how your doctor advises you to follow or no follow Keto. We’ve not had personal experience working with people prone to gout, and we would love to learn with you.